Not all printers are created equally. Some are beasts of machines that give great results but cost a fortune. This is not what all businesses need. Sometimes a simple machine that can do the job, while saving money is all you really need. If that’s the case, then the Xerox WorkCentre 7220/7225 is the choice for you. When you get the WorkCentre 7220/7225 you are getting a machine that you know will satisfy your work needs while keeping costs low. This machine is a great value for those who need a relatively straightforward print solution. This machine will give you all you need with choices that can save you money. The WorkCentre 7220/7225 comes with the trusted technology that you expect from Xerox. The best part of the WorkCentre 7220/7225 isn’t even the normal features—it’s the options that can save you money that really bring this machine home. There are default features for your print drive for economy and efficiency. You can also get Earth Smart features that let you select default settings for responsible use. The WorkCentre 7220/7225 is what you need if you need to keep an eye on your bottom line. 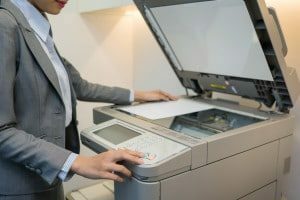 This printer gives you the power to meet today’s tasks and build tomorrow’s opportunities without hurting your bottom line.